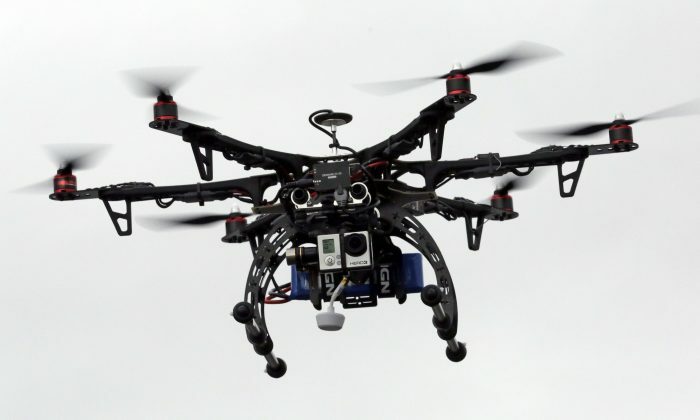 California Wants to Allow Firefighters to Destroy Drones. Is It Legal? Last month, firefighters in Southern California had their mission interrupted by a stray drone, which blocked the aerial path of a plane carrying gallons of flame-retardant to the site of a forest fire, delaying efforts to quell the forest fire and costing the department $15,000. The department presumably turned back its airplane because it’s illegal to damage someone’s drone, even if you have good cause. To avoid future disruptions of firefighting activity, California state senators introduced a bill this week that would give firefighters the legal prerogative to disable or destroy civilian drones when necessary. “I don’t want these brave men and women worrying about frivolous lawsuits or consulting their legal departments when they are in the middle of life-or-death missions,” state Sen. Ted Gaines said in a statement. Even if California were to pass such legislation, however, it still wouldn’t rule out the possibility that local governments might be held responsible for destroying someone’s drone. The state law could always be challenged and ruled unconstitutional in a federal court. In theory, the Federal Aviation Administration (FAA) can issue regulations that override state statutes regarding drones, but it’s unlikely that the agency would take such action. The Fourth Amendment does include exemptions for the destruction of property in emergency situations, which would likely apply in the case of firefighters pursuing an urgent conflagration, but like all powers, the right to destroy civilian drones has the potential of being abused. Pattis compares the legal status of drones to that of automobiles more than a century ago, when the machine was still an unknown quantity and existed in a state of legal limbo. Unlike automobiles, drones, which can easily be used to spy on your neighbors, will also pose privacy issues that have few technological precedents. As of 2015, 45 states have considered 153 bills related to drone regulations, and 17 states have already passed legislation on the matter, according to the National Conference of State Legislatures. Pattis expects that drones will undergo the same process experienced by what are now well-worn technologies: legislators will over-regulate the technology, and the unnecessary laws will be modified or removed in court. In the Age of Drones, Who Owns the Sky?